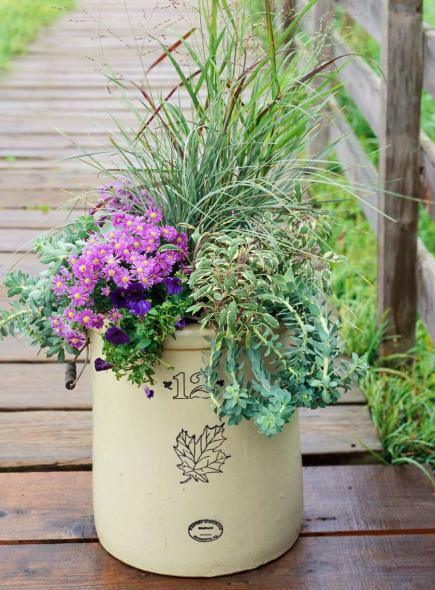 Recycle flea-market finds, wooden boxes, garden accessories , kitchen bowls and more into fun container gardens. 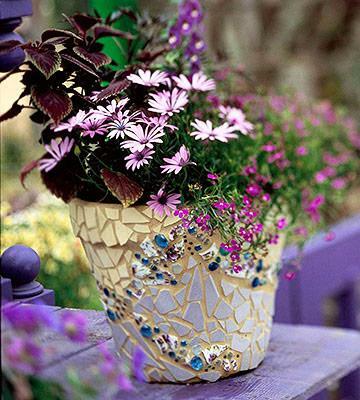 For this DIY garden project , start with a terra-cotta pot and gather decorative materials, such as broken dishes or glass pebbles. Click on the link below for step-by-step instructions on making the project. 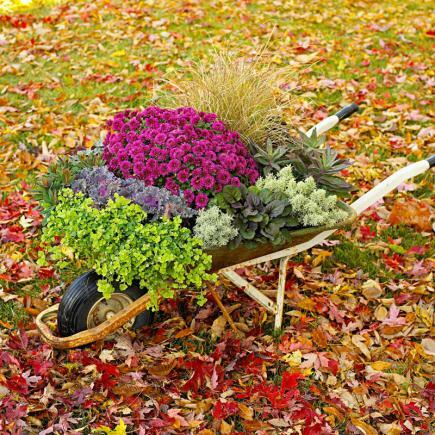 We used these annuals for a bright color mix: Horned violet (Viola cornuta 'Sorbet Plum Velvet '), French dwarf marigold (Tagetes 'Bonanza Orange'), Lobelia erinus 'Riviera Midnight Blue', variegated Swedish ivy (Plectranthus coleoides 'Variegatus'), sunflower (Helianthus annuus 'Big Smile'), floss flower (Ageratum houstonianum 'Blue Danube') and Petunia milliflora 'Fantasy Red'. 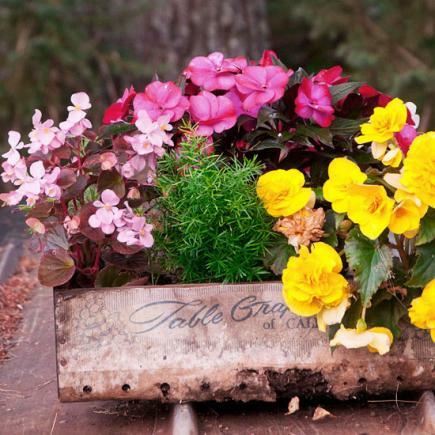 ral deliveryBring new life to an old vegetable carton with flowers. 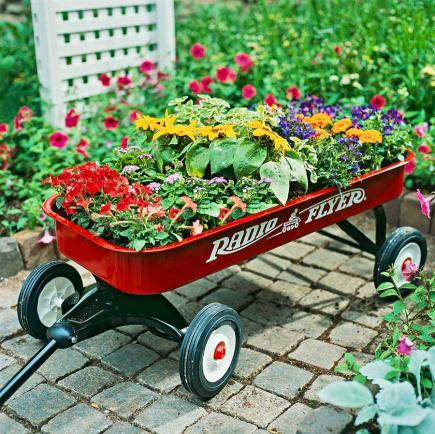 This portable garden brightens any patio or porch. Fill with sunny yellow blossoms and a pop of pink flowers.